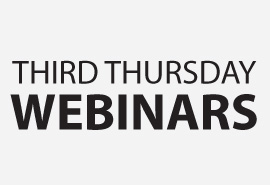 The MAB has announced its 2019 list of Third Thursday webinars. Sales, Programming, Engineering, Management and Digital webinars are scheduled through the year. Speakers include experts such as Paul Weyland, Kevin Robinson, David Oxenford , Chris Lytle, Jeff Welton and others. For a complete list of webinars, click here.